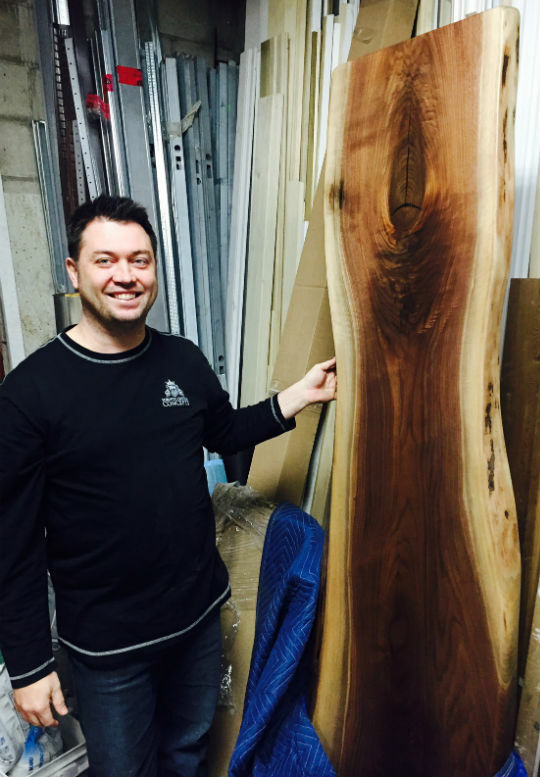 This live edge wood slab pictured here with Dave from Toronto Custom Concepts in our Oakville warehouse is a beautiful piece that is kiln dried. The walnut wood has a wonderful centre located top knot. 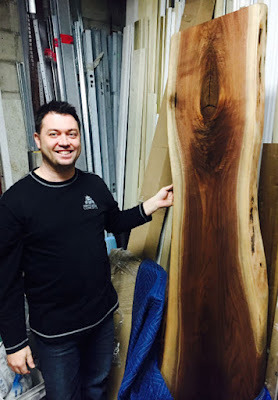 Dave has already selected this piece for a custom tabletop for his office. Can't wait to see the end result!